Getting advice on good books is going to get a lot easier in Sherwood. 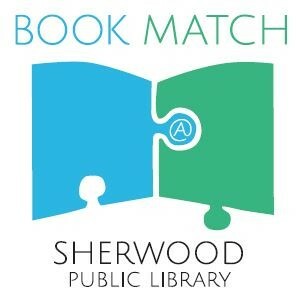 Thanks to a grant from LibraryAware and NoveList, Sherwood Public Library is launching a new service called Book Match @ Sherwood Public Library to help match readers to books they will love. Library staff have always specialized in recommending books. This national grant for $5000 will allow Sherwood Public Library to take that basic service to the next level to meet the local demand in our community of readers. Readers will be able to submit requests for book recommendations via online and paper forms in English and Spanish, in addition to in person and over the phone. Librarians will deliver customized list of recommendations designed to suit individual interests and preferences, reading levels and desired formats. More than 50 libraries submitted proposals for the Engaging Readers at Your Public Library Grant. The two other winners are Chatham-Kent Public Library (Ontario) and Dallas Public Library (Texas). Part of what made the Sherwood grant request so competitive was the growing success and high participation rates in the local Adult Summer Reading program and book clubs, and how the proposal fit into the library’s new Strategic Plan. Through a process that began in Fall 2016 with Library staff, community forum members and Library Advisory Board members, three key strategic directions emerged as service priorities for the next three years. The top goal relates directly to reading: The library inspires and facilitates reading, viewing and listening for pleasure. A design firm, ZOnion Creative Group, which specializes in working with non-profits and libraries, has created the Book Match logo and will design more marketing materials, including a comprehensive recommendations booklet that will be ready in time for Summer Reading. Book Match @ Sherwood Public Library will soft-launch this Winter and have the full range of services implemented by Spring.